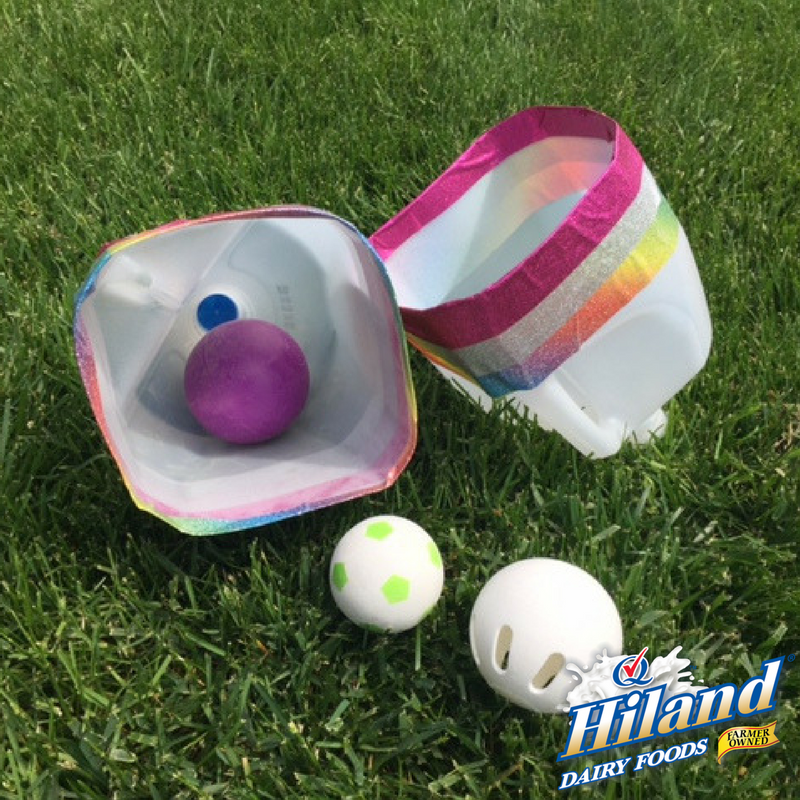 Outdoor fun begins with a repurposed Hiland Dairy Milk jug or two! It takes no time at all to assemble these ball-toss catchers. 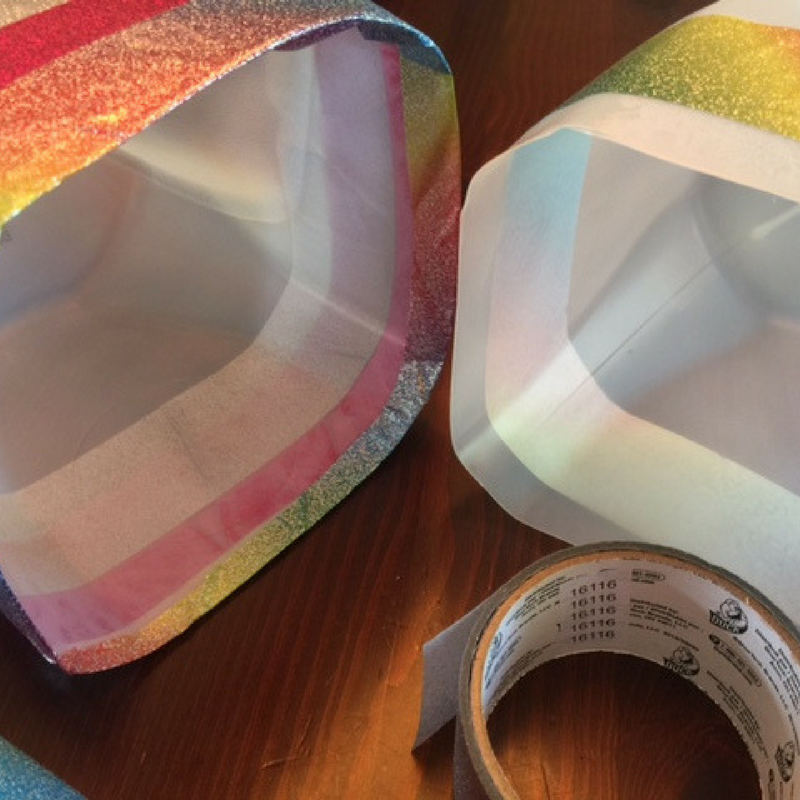 Simply cut, tape and it’s game on! Yes, it’s that easy. 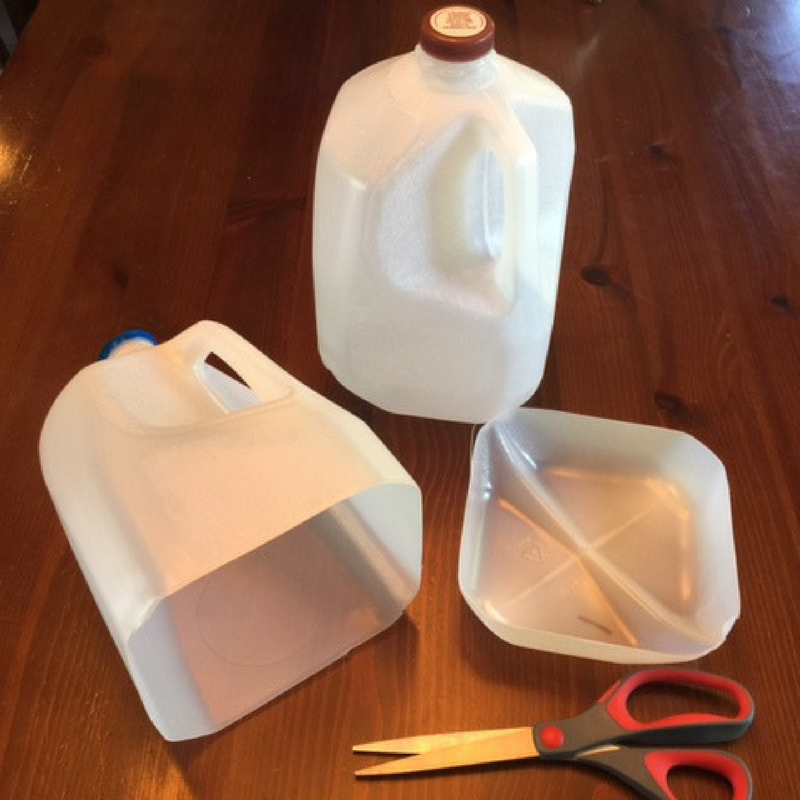 Using scissors, cut the bottom off of each milk jug. Layer colored duct tape at the open end of each milk jug, starting at the bottom of each handle. 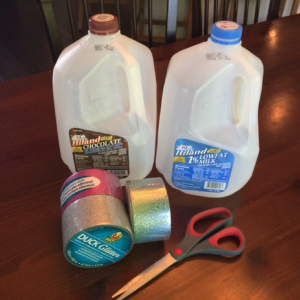 Wrap the last layer of tape over the open edge of each milk jug. 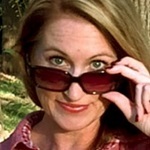 Head outside and start tossing! The milk jug labels will peel right off if you fill the jugs with hot water and let them sit for five minutes.